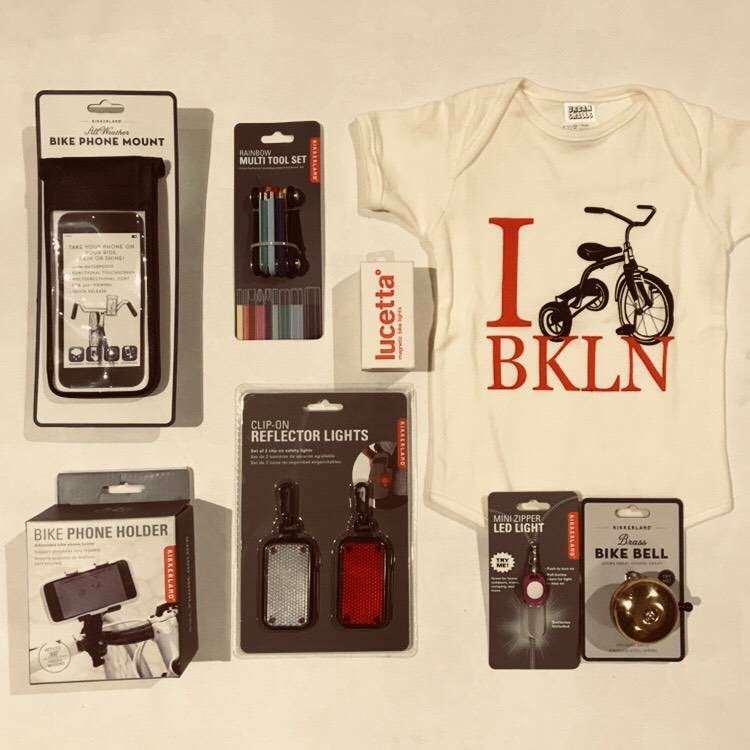 Exit9 Gift Guide for Cyclists. A durable & bright style multi toolset for your toolbox. It's not just colorful just for the sake of it, each tool is color coded to easily distinguish one from the other. Tool included are 7 Allen keys (2 - 6mm & 8mm), Phillips, slotted, and torx drive bit. Approximately 6 inches. Keep these lights in your pocket until dark then attach to the bike and they go on. Includes one red and one white light, settings are steady, slow and fast flashing light. Another Exit9 exclusive. Our 100% cotton onesie has Brooklyn biker pride! This polished brass dome bell is a classic accessory that looks good on most bikes. Polished brass and stainless steel spring sound bright. 2 inches in diameter. Positionable on top or in front of the handlebar. Fits 0.88 inches to 1.25 inch handle bars. Measures 5.9 by 3.5 by 2.4-InchesKnowing the best bike route, if there are traffic jams and where to find tacos is crucial for a bike commute or everyday ride. This bike phone holder will help keep you riding safely and stay informed on your ride. With the cyclists on your list in mind, make sure you look at our backpacks.